A pretty angel to update. 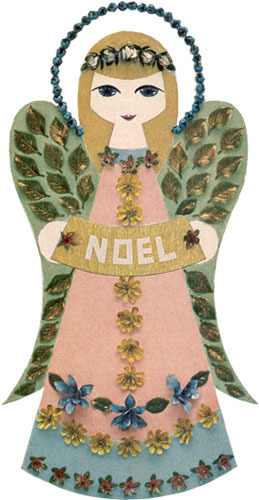 Published in the McCall’s Christmas Make It Ideas Volume X, this little angel was painted wood with dried flowers. She would make a very pretty Christmas quilt with beads and embroidery adorning her hair, wings and dress. I think she would also look stunning on a little hand towel as well. A great gift for the cook who roasts your Christmas turkey dinner. 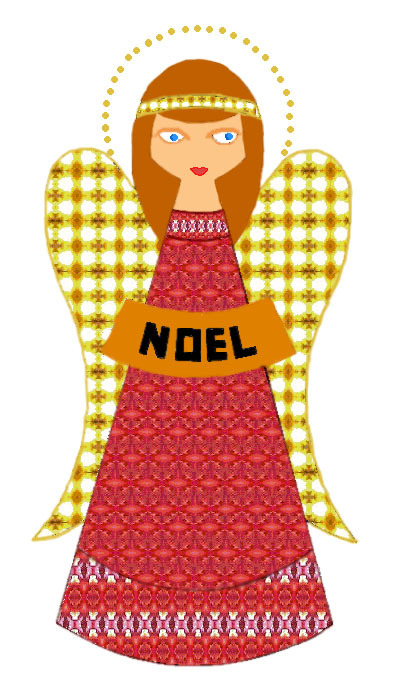 I filled the angel pattern in bright colours. 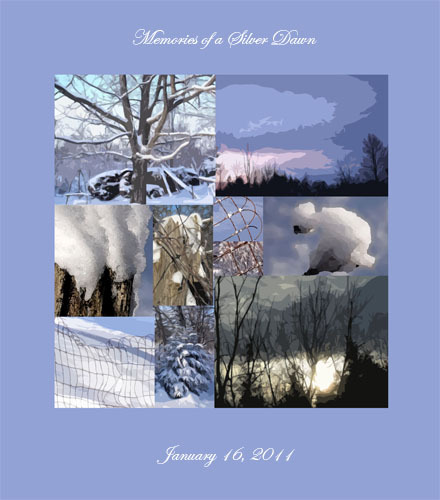 Printed on a piece of card she could adorn your table or tree. 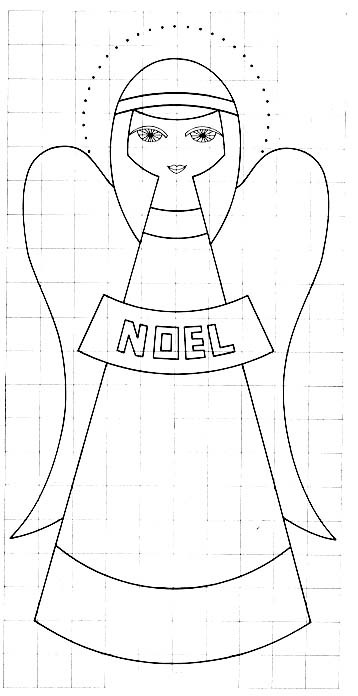 The pattern for this little Noel Angel is below. I woke to a brilliant Mars in a clear deep blue sky. Predawn drew me outside to watch a silver sun rise. 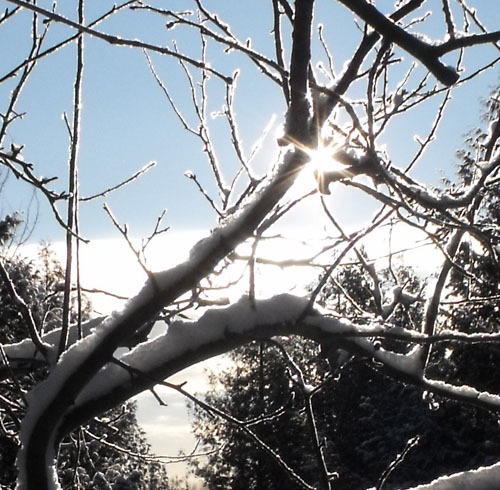 A perfect, snappy winter morning in the Ottawa Valley. 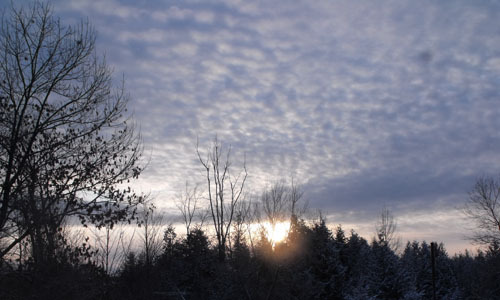 As the sun appeared above the horizon, clouds moved in to reflect the light, creating molten silver. 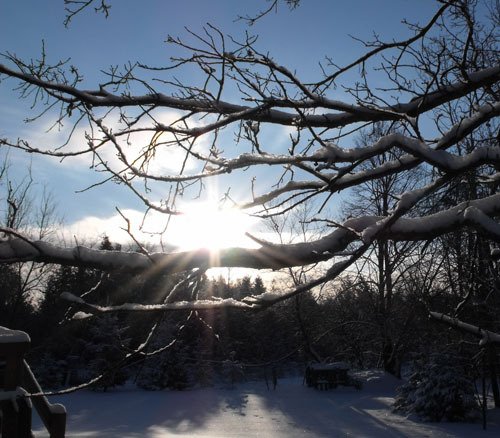 Our old gnarled oak tree framed the silver rays as the sun rose higher……. along with the crab apple tree. 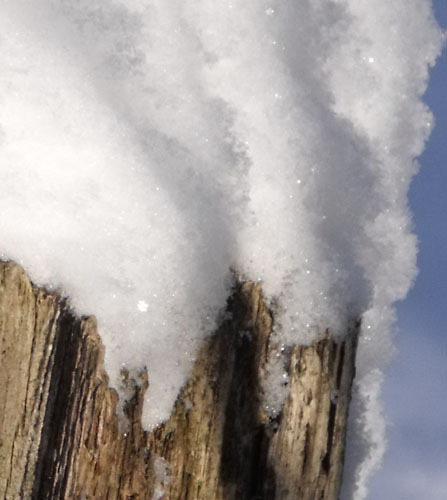 Snow lies everywhere, the day so cold the snowflakes are individually frozen to the post as natural diamonds. Two more owls for everybody. Every time I see an owl somewhere it reminds me of my late mother-in-law. These are for her. 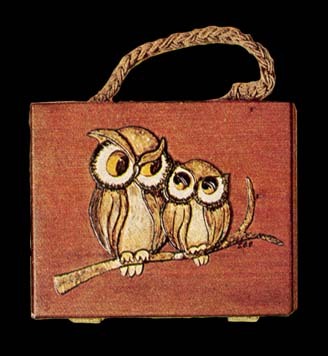 This pattern was published in the McCall’s fall/winter 1972-73 magazine, decoupaged on a wooden box purse. 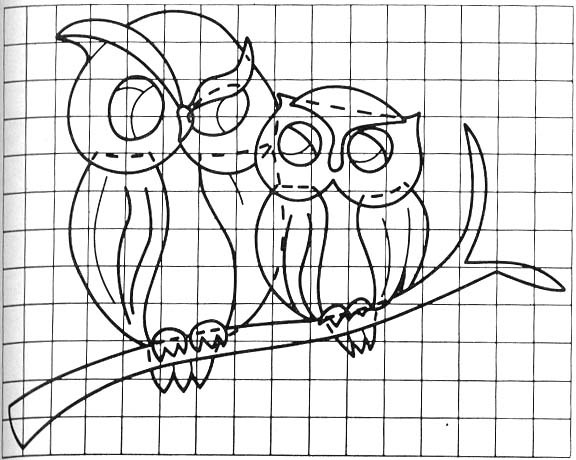 Wouldn’t they look great painted onto a silk scarf or maybe appliqued onto the center block of a little wall quilt. They would also do justice to an embroidery block, especially redwork.